Mr Trump says the body too often rules against the US, although he concedes it has won some recent judgments. Mr Trump's warning about a possible US pull-out from the WTO highlights the conflict between his protectionist trade policies and the open trade system that the WTO oversees. Washington has recently blocked the appointment of new judges to the WTO's Geneva-based dispute settlement body, which could potentially paralyse its ability to issue judgments. It comes as President Trump set a Friday deadline for Canada to sign a new agreement with the US and Mexico. He has threatened to tax the country's automotive sector or cut it out entirely. The one creating the most interest is with China, as the world's two largest economies wrangle for global influence. Bernd Lange, chair of the European Parliament's trade committee, told Politico magazine that it would submit plans to overhaul the organisation in September. He said it would test whether the US was really interested in reform. "This is certainly about calling [America's] bluff," he said. What about other trade deals? 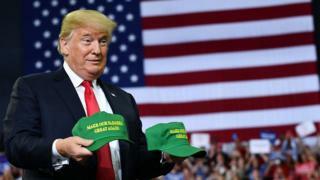 In a 2016 presidential debate with Democratic rival Hillary Clinton, Mr Trump described the North American Free Trade Agreement (Nafta) with Mexico and Canada as "the worst trade deal maybe ever signed anywhere" and a "killer" of US jobs. Once in office he said he wanted to renegotiate - not scrap - the accord, triggering a year of talks. 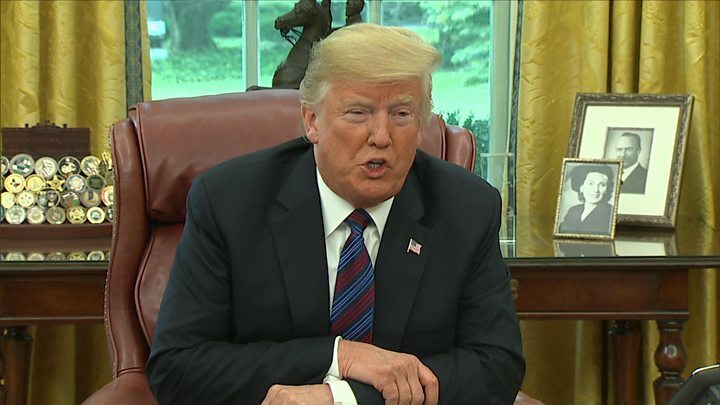 On Monday, Mr Trump announced that the US and Mexico had agreed to revamp Nafta, calling it a "really good deal" that was "much more fair" for both countries. Canada is yet to agree to the new terms. Mr Trump said the deal was a "potential disaster for our country". One of his first acts as president was to withdraw the US from the TTP, although he has since said he might consider rejoining if the terms were "substantially better".